Fairytales, Dress up and Make Believe! March 22, 2017|Posted in: Happy, Healthy, Smart Kids! Everybody (if they’re honest) likes to play dress up! There’s something so magical about pretending to be a Princess or a Knight, a King or a Queen, or even a dragon and imagining your very own fantastical fairytales. For as long as there have been children, there have been games of make believe with larger than life characters, and beautiful forrests, castles or palaces! This kind of play helps children learn about the world and develop creative thinking skills. 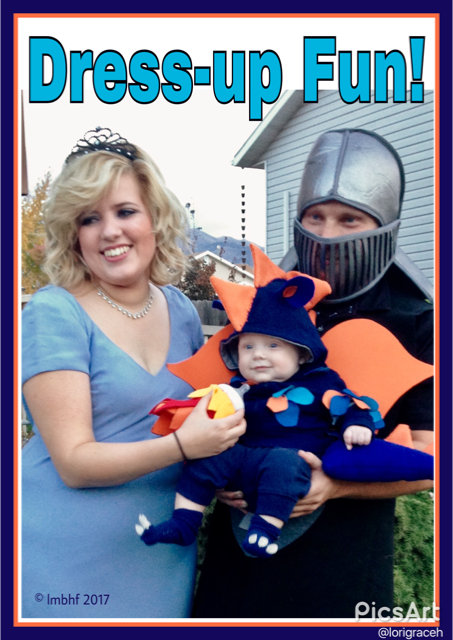 It’s easy to put together a dress up box for fairytales and make believe games. All you need to do is fill a laundry basket with things from around the house and maybe add in a few dollar store finds and the kids will have everything they need for hours of exciting, imaginative play! 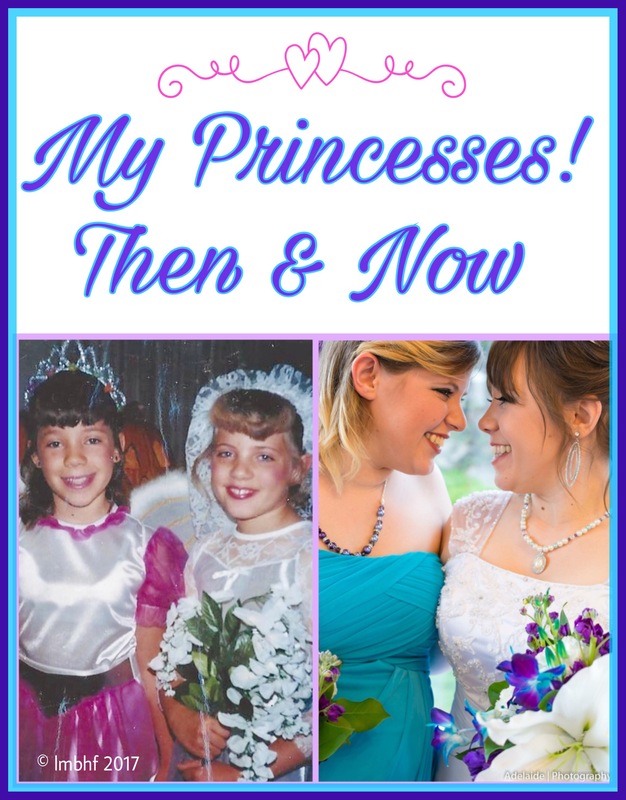 Here’s a photo of my little princesses – then and now. They loved fairytales, dress up and make believe then and they still do now! Aren’t they beautiful? Hillori, our oldest, wasn’t as fascinated by princesses as her little sister was. 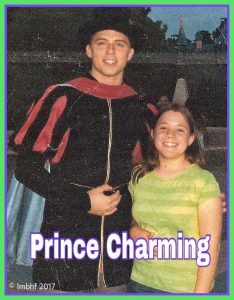 We took the picture below of her at Disneyland with Prince Charming. The Picture above was taken in 2016, when she married her real life Prince Charming! 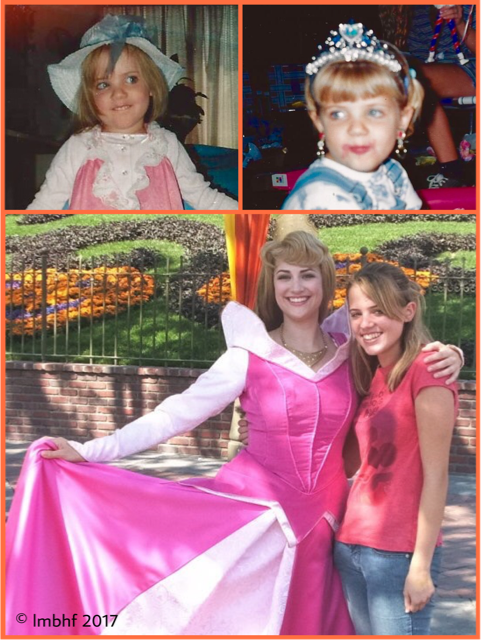 This is our youngest, Tarrin (Tara), who has always LOVED princesses! Sleeping Beauty is her favorite so she had to have her picture taken with Sleeping Beauty when we visited Disney Land! The first picture in the post is of Tara, her husband and their firstborn G4! Isn’t he just the cutest little Dragon? This is our baby’s (Tara) baby. Because she loves princesses so much mommy is sharing her love with her little G5! Wouldn’t you love experience your very own real life fairytale? 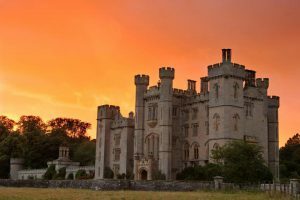 Enter the HomeAway Sweepstakes and you might win a stay for yourself and 20 guests at the real life Duns Castle! You cam ENTER TO WIN HERE! Win a Stay at Duns Castle for Yourself and 20 Guests! Here is what HomeAway’s website says about Duns Castle. “Duns Castle, located in the Scottish Borders just one hour south of Edinburgh, is the centrepiece of a beautiful 1200-acre estate and has been the seat of the Hay family for over 300 years. Steeped in history, the oldest part of the castle dates from 1320 and it was here that the Covenanters amassed their forces in 1639 to protect Scotland’s freedom of worship. Their website also says that the average price for a night’s stay at the castle is $3,070! I don’t know about you, but that is like my entire vacation budget. So I’d be really thrilled to win this sweepstakes! I already submitted my entry!! make believe is great for kids. 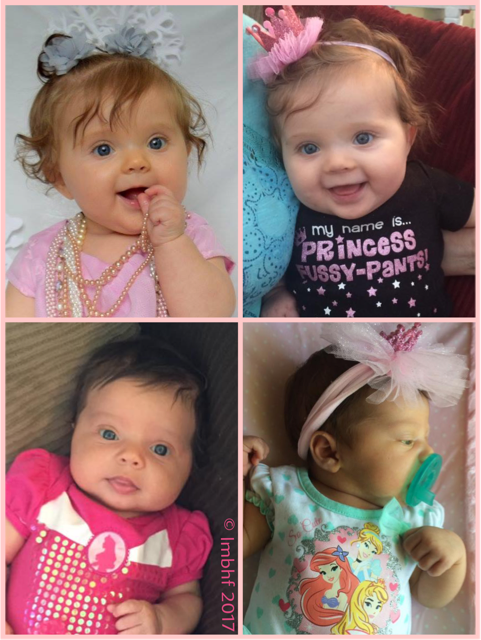 Your baby princess grandbaby is so adorable! Thanks for sharing at #WednesdayAIMLinkParty. I shared it on social media.